HOW DO I CREATE A LAND TRUST? There are two documents required to create a land trust: a deed and a trust agreement. When one creates a land trust, he or she transfers, by deed, real property to the trustee to be held in trust and executes a trust agreement that outlines who the Trustee(s) and Beneficiary(ies) are, the scope of the Trustee’s authority, and the general terms of the trust, including how the subject property is to be managed and among other instructions and conditions. The deed must be recorded and the Trustee must be conveyed specific powers and authorities laid out in the Florida Land Trust Act. We encourage you meet with one of our attorneys to discuss the creation of a land trust. Given the particularity of the FLTA and its distinction from the ordinary Florida Trust Code, it is important to make sure a land trust is created properly and governed under the appropriate provisions of Florida law. 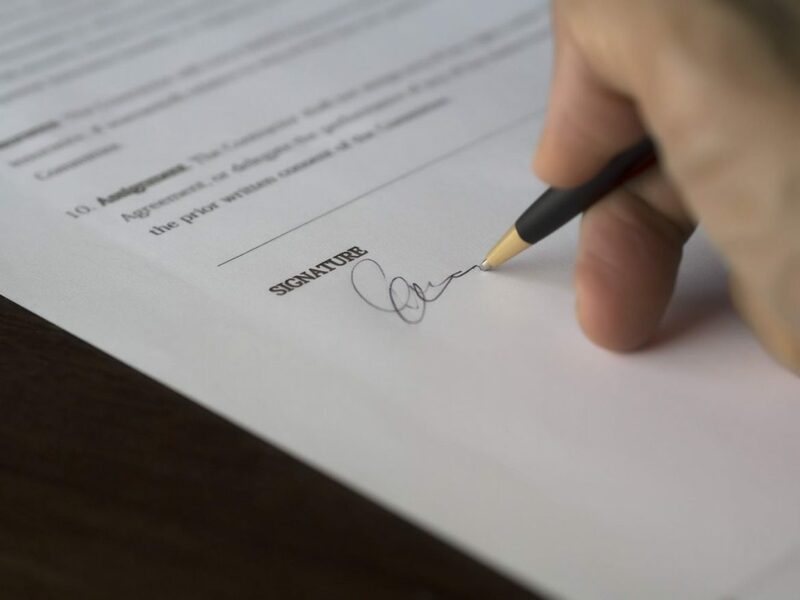 Our firm can assist you with executing a deed in trust and trust agreement that will clearly outline the rights and duties of designated trustees and beneficiaries, fulfill your needs and goals, and properly manage any risk associated with your property. WHAT CAN I HOLD IN A LAND TRUST? A land trust is intended to hold interests only in real property. This does not mean that you must have full ownership rights over a piece of property to place it into a land trust. The FLTA defines a beneficial interest as “any interest, vested or contingent and regardless of how small or minimal such interest may be, in a land trust which is held by a beneficiary.” Thus, leaseholds to mortgagee interests to full perfect title can be held in a land trust. WHAT IS A TRUSTEE AND WHO CAN BE ONE? A Trustee is the person or entity responsible for managing the trust property. There can be multiple Trustees (or Co-Trustees) to the same trust. A Trustee can be a natural person or a business entity. A Trustee holds legal and equitable title to the trust and is the only person who can take any action concerning the property. A Trustee can only act under the direction of the beneficiary(ies) and has no authority to make any decisions concerning the trust property on his or her own accord. In essence, the Trustee is a fiduciary who holds legal and equitable title to the real property for the benefit of the beneficiary and acts according to the direction of the beneficiary assigned to the trust. The Trustee acknowledges that he or she understands the rights and responsibilities as a fiduciary to the Trust and beneficiary(ies) and, accordingly, that the Trustee should file I.R.S. Form 56 notifying the I.R.S. of the creation of a fiduciary relationship under section 6903 and giving notice of qualification under section 6036. Our firm’s affiliate, Property Trustee Services Co., provides Trustee services for land trusts so you can ensure that your trust property is managed by an entity that is responsive, reliable and knowledgeable about land trusts and the FLTA. A Successor Trustee is the person or entity who is next in line to serve as Trustee in the event the Trustee is unable or chooses not to serve as Trustee. The Successor Trustee has no authority or title to the trust while still a Successor Trustee. WHAT IS A BENEFICIARY AND WHO CAN BE ONE? A beneficiary is the person who holds a beneficial interest in the land trust. Unlike an ordinary family trust where the Trustee has mandatory or discretionary authority according to the terms of the trust, the Trustee in a land trust has no authority except to follow the directions of the beneficiaries regarding the handling of the trust property. This is what the Florida Land Trust Act calls the “power of direction,” and it rests only with the trust beneficiaries. The Beneficiary is also fully entitled to all beneficial interests of the trust property, such as earnings and other proceeds the property generates while in trust and the option to occupy or otherwise possess the property. The beneficiaries of a land trust can be anyone the trustor (creator of the trust) chooses, even the trustor him/herself. It is usually in the best interest of a beneficiary to hold his or her beneficial interest in the name of a business entity, such as a corporation or limited liability company, so the beneficial interest can have the same protections offered those entities should the beneficiary ever face the risk of liability. REAL OR PERSONAL PROPERTY INTERESTS – DOES IT MATTER? One of the unique features of a land trust is the ability of a beneficiary to hold either a real or personal property interest in real property held in the land trust. According to the Florida Land Trust Act, any land trust conferring personal property interests to the beneficiaries must explicitly state so in the trust documents. If there is no specification as to the type of beneficial interests in the trust, Florida law will presume they are real property interests. The main incentive for a beneficiary to have a real property interest in a land trust is if the trust property is the beneficiary’s homestead. Holding property in a land trust does not interfere with qualification for the homestead tax exemption. In most other circumstances, personal property interests are preferred. If the interest is personal property, beneficiaries can easily assign their interests without a deed, the trust property cannot be partitioned, and ancillary probate administration for out-of-state residents can be avoided. Personal property interests provide other tax and asset-protection benefits, as well. HOW ARE TRUST INTERESTS PROTECTED? Under the Florida Land Trust Act, Trustee and Beneficiary interests are “separate and distinct” from one another, unless another law specifies otherwise. Thus, any actions or encumbrances affecting one have no effect on the other. I ALREADY HAVE REAL PROPERTY IN ANOTHER TRUST. SHOULD I TRANSFER IT TO A LAND TRUST? It depends. Any trust, including a land trust, can be revocable or irrevocable, and there are a series of advantages and disadvantages associated with each. Depending on the status of your current trust, your general donative intent, and, if applicable, your testamentary scheme, holding property in a land trust as opposed to another may or may not be a wise decision. Among other things, and revocability aside, holding real property in a land trust might be more advantageous if you are concerned with property being held under your name or if there are multiple owners or business transactions related to the property so as to keep the subject property in exclusive management under a single land trust. Call our office to learn from our attorneys whether a land trust is the best option for you. ARE ANY LAND TRUSTS NOT GOVERNED BY THE FLORIDA LAND TRUST ACT? Yes. The Florida Land Trust Act lists four specific powers and authorities to be accorded to a Trustee in a land trust. If these powers and authorities were not accorded to a Trustee, the trust is not a land trust governed under FLTA. If a trust was created before June 28, 2013, it will be governed by FLTA if the trust instrument confers on the Trustee the powers and authorities mentioned above and either expressly provides that the trust is a land trust or demonstrates the intent of the parties for the trust to be a land trust. If trusts created prior to June 28, 2013 state they are to be governed by chapter 736 or any other trust code or law besides FLTA, or the intent of the parties demonstrates so, the trust will be out of the purview of FLTA.